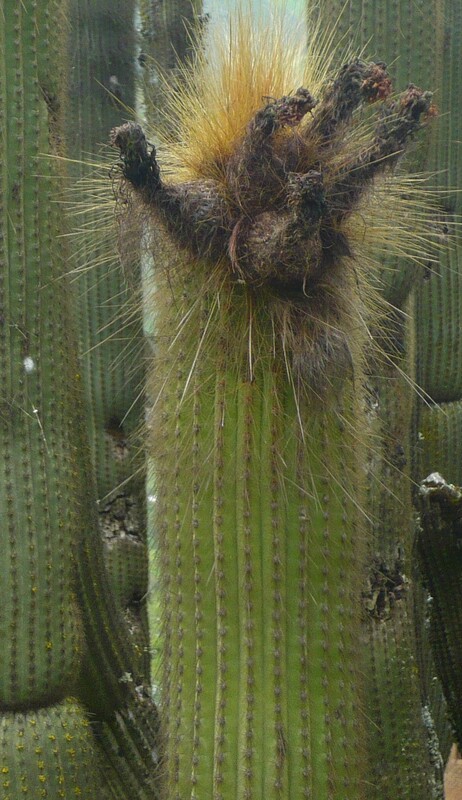 Weberbauerocereus winterianus is a columnar cactus that can be found all over Peru. The genus Weberbauerocereus is a very popular group of plants and growers all over the world like to grow them. The grow like a tree and reach a size of 4 – 6 meters. Weberbauerocereus winterianus was described by Friedrich Ritter, who named the species after his sister Hilde Winter. It is synonymous with Haageocereus winterianus and Weberbauerocereus winterianus var. Australis. It has 22 – 27 ribs and reaches a diameter of up to 10 cm. Weberbauerocereus winterianus is a night flowering species with flowers that are up to 8 cm long. This rare species can be found in the Ancash region of Peru and is rare in European collections. Those seeds are fresh and were NOT stolen from the wild. Those seeds were very well cleaned and are high viable.